This pretty place stands just above the main road, from Oswestry to Llangedwyn, in the valley of the Tanat. It was built in 1790,by Mr. Lawton Parry, sheriff of Montgomeryshire in 1795. Mayor of Oswestry in 1802, and Lieutenant in the ‘Oswestry Rangers’ in 1803. He had property at Marton near Chirbury, and at Careinion in Montgomeryshire. He and his wife died without issue, and their adopted daughter Mary Lloyd, married Mr. Hamer. 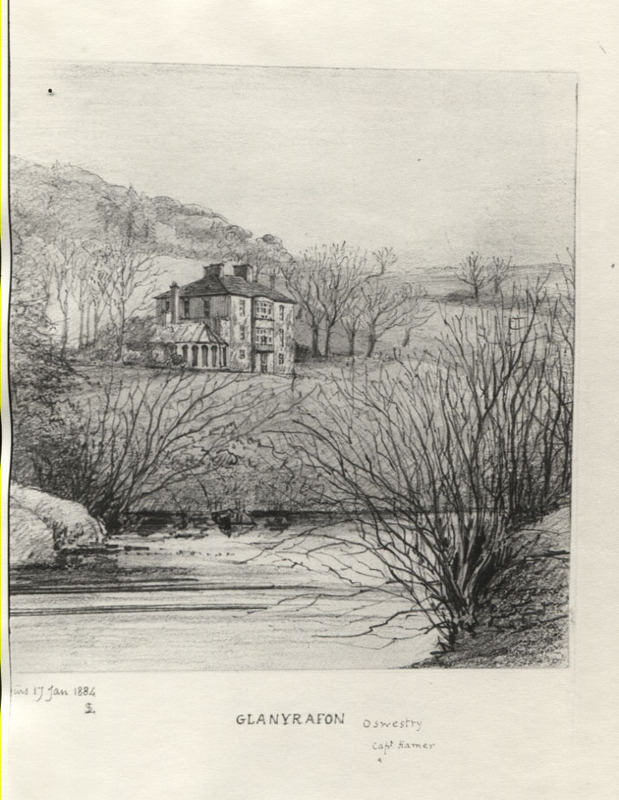 Who thus in 1820, became the owner of Glan-y-rafon, and was grandfather to the present owner.